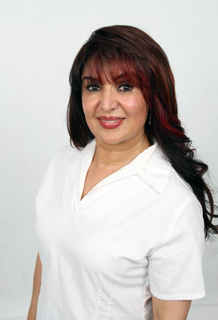 Leeza has been operating a hair removal business since 1987, starting with electrolysis services and then evolving to laser hair removal and laser skin treatments. Being aware of the many different types of laser hair removal technologies available, her method of choosing a successful product was to personally undergo the procedure herself. Leeza uses only the best equipment, and has made a significant investment in industry leading and FDA-approved technologies. After extensive research and undergoing treatments, it was clear to her that the combined-energies of ēlos was superior to that of others. elōs is proven to be more effective and efficient at removing all hair types – even those not able to be removed by conventional lasers. Leeza was especially impressed with the painlessness, safety, and the results of the treatments (more about technology). Upon your arrival, you can expect to walk into a clean and professional environment, where you will be given an honest evaluation and the best options to reach your beauty goals. You will meet the personnel at Leeza’s Laser Clinic, who are all certified laser technicians, experienced and empathetic. Leeza’s success is based on her reputation in the industry, resulting in a high number of referrals. She takes great pleasure in the relationships she builds with her customers and the results the clinic is able to provide. We hope to meet you during a free consultation, in order to prove our commitment to helping you feel more confident and happy with your new appearance. Contact Leeza’s Laser Clinic Today!